Earlier in March, Google rolled out Wire Transfers as method of payments to Indian Adsense Publishers. With the intro of Wire transfers (EFT) the payment process not only became faster, but also removed one of the huge barriers i.e Payee Name. If you are an old publisher, you’d already know that Adsense publishers in India were not allowed to change their Payee Name and the only method to change it was to close the present Adsense account and open a new one with a different name. With EFT payments, the payments will be deposited into the Bank Account that is provided while setting up electronic payments. You can add a new bank account (with a different Holder’s Name) for receiving Wire Transfers by going to Settings> Payments> Payment Settings> Add a new form of payment. As it happens with Electronic Transfers, the funds are transferred solely on the basis of the Account Number and Holder Name hardly matters while transferring funds to the said account. So even if you have entered a name which is not the real account holder, the funds should go through and get deposited. Although this can be done, I’d suggest doing this only for legititimate reasons such as: When the Payee Name was entered incorrectly or when there is a real change of name. I have a google adsense account on which I have entered my sur-name wrongly by mistake that is “KULWINDER LADHAR” which I want to change to “KULWINDER KUMAR”. I have 2 websites which are “http://www.punjabisongtohindi.com/” and “http://www.veerjidelivers.com/”, on which add are visible via this adsense account. Now I want to change my sur-name. I have applied for the address verification code and till now I have not received the code and also not added payment method. Also I have doubt that if I change the name online by settings option, shall my account be blocked? So, how can I change my sur-name so that my account may not get blocked and I get payments in my bank account. Thanks a lot, but Have you done it yourself ? Actually when I started I didn’t know anything that we can’t have two accounts or can’t change it later so I had to give my sister in law name & address though we live in one house only. But I didn’t give any bank details. Now I don’t want my money to go to her bank but YouTube told me it’s not advisable to have different payee name & different bank account, they mean it should be one person. But I think it’s possible that’s why he said it’s not advisable, it means it’s possible. But I don’t want to land in any problems as the amount is big. My name is already associated with one adsense account which I’m not going to use for now as it’s difficult to maintain two. I want to give my fiance’s bank details and address. Or I can only give her bank details & don’t change the payee name address if that’s legal or possible. They help but when it comes to adsense they don’t say much. Nahi bhai. Us se koi pareshgani nahi hogi. Lekin nahi likhna chahiye Mr/Mrs/Smt etc. same payee name ke 2 account ho to koi problem ho sakta hai? India me same naam toh pata nahi kitne hi logo ka hota hai. So usme toh issue na hoga. Agar bank account bhi same hai and accounts same hi computer se khulte hain. Toh shayad Google dono ko match karke ek ko band karde. Hi! Very Helpful first of all. I had a question that should the address on my adsense match the address on my bank account ? because my address is the old one in my bank where i dont live. mera bhai name se ek adsense account but uska bank account nahi kya me apni bank account dal sakta mere bhai ke adsense account me?plz help me. 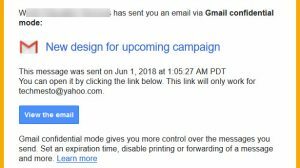 Please, if I use the payee name of my friend whose adsense account has been disabled due to invalid click, will my adsense account get affected? sir mera acount mere bhai ke naam par hai uska payment bhi uske naam par ata hai to kya mai uska payee name change kar ke mere naam ka bank acount join kar sakta hu ? Actually my payee name in adsense account was not matching with the bank account name. So i have changed my payee name to bank account name. So my question is “will i face any further problem with adsense while payment(wire transfer)”? If i get a payment hold and they want the verification documents, then i have to submit the verification documents with the payee name, right ? or should they match google plus name. And should the bank account name match the payee name or google plus name. I only know of address verification PIN as standard adsense setup? What additional documents are you being asked for? hey Narendra .. My Payee Name is XY same Name for payment seetings to bank account & Now I am changing my surname so Bank surname will change as well . What should i do ?? – Change My surname Payment in adsense Payment settings ? will it work ? Yes, changing the surname in payment settings is all you need to do. However, it is highly likely that the transaction will go through on a name mismatch as well since most of EFT transactions are processed solely on the basis of account number. namaste sir ji, muze ek doubt he ki jab mene adsense account ki bank details fill ki thi tab payee name me mene small letters me input kiya tha, jab ki mere bank details me mera payee name capital letters me he, to iska koi issue to nahi ho gana, matlab bank me mera payee name capital letters me he or mene adsense me small letters me diya he, isse koi payment issue to nahi hoga na ? My adsense account was disabled but I later got another one with different payee name, But what i don’t know is can I use the bank account details I used for the banned Adsense account on my new adsense account? Since Adsnese account and the associated earnings are crucial, I’d recommend you to use a new bank account. It won’t hurt much to open a new account. Would it? Koi problem nahi hogi bhai. Go and enter the account number and withdraw your funds. But haan don’t change the details too often. Agar ye last month(s) ki earnings thi and account me 2-3 May k aas paas credit hui hai toh 23 May ko they will be sent to your bank. 2-3 din me uske baad account me aa jayenge. Tax deduction nahi hoga, but banks currency conversion ka commission lete hai and us par service tax bhi lagega. 126$ pe approx merko kitna milega? After charging commison? And last question payee profile ka name agar address verification vale name se match na hotoh chlega Na? I have one adsense account in my fathers’ name. Payee name and Account name is in his name. But he cannot receive money now because of some problem. So Can I provide my friend’s name details as Payee Name. Will the account get banned after doing this?. In my earlier adsense account i didn’t provided the bank details. Before $10 it was banned. In this adsense account, the payee name is father’s name. So providing my bank details as Bank Account Holder Name will cause any problem? Hello Mr. Narender. Thanks for this informative article. I am using a US adsense account. And my question is if i can change the address and payee name after the account has got PIN verified. Will it be safe and wouldn’t raise a red flag? Thanx for your valuable reply brother ..
Are you sure that i can add different bank account not match with adsense account name without getting ban or sothing else .. Yes. That shouldn’t be a problem as long the bank account is not associated with a previously banned Adsense account. Just enter your bank account and your name. It shouldn’t be a problem if there’s a mis match of name on Adsense account and the payee name. 1)In the past 7 days, your ad code has appeared a significant number of times on sites you don’t own. To avoid lost revenue, make sure to add these sites to your owned sites list in Site Management. 2) We’ve recently integrated the Site Authorization feature with Site Management. Please review your settings to ensure they are correct. 3) Your payments are currently on hold. Action is required to release payment. 1. Ye pehle wala to ye hai k tumhara Ad Code kisi aur ki site par laga hua hai. Agar tumne kisi aur site par nahi dala hai toh ise ignore maro. 2. Ye bhi bas aise hi notification hai. Kisi kaam ki nahi hai. 3. Ye payment hold hai and is notification par click karke pata chalega k uskka reason kya hai. Maybe balance kam hai, ya manual hold laga hai ya koi aur issue hai. sandeep bhai bata sakte ho aap ka phla payment kitne din me aa gya thaa…..
Payee name is matching with adsence profile name.. it is very different. I’ll get my payment or not please help? Sir when i entered my address while i am signing up on adsense is not matching with my bank record address… and the payee name is also very different from adsence account holder.. so please tell that there is any problem? I will get payment or not? Please help. You can manually pay your friend from your account and show it as a salary/partner share during your ITR and then you won’t be charged for that income as it will be a deductible income (AFAIK). Besides that, I don’t know how you will save from service tax. It could be that I’m unaware of some exemption or I’m not understanding it correctly. For the income tax, it is not that all the income will be charged at the flat rate of 30%. Only the part of income that will exceed the amount will be subject to the additional tax. That said, I’m no tax expert. To play safe in your plan, maybe it’s the best to have the payment method set to your bank account for the first 7 months and then change it to his for the next 5 months. 1/2 changes in an year is perfectly fine IMO. Can I add my friend’s name as bank account holder and his bank account number? Would Google send money to my friend’s account? Actually, he did a great job on my blog and I wanna share my revenue with him Please help me. Yes! That can be done 🙂 But you cannot divide the amount that way. The full payment amount will be sent to that account. Thanks a lot that you concerned my comment, Actually, I thought so because Google has allowed multiple payment profile in payment system. Have you any personal experience about that? I heard that Google bans AdSense account if you change payment profile (Differently) multiple times!! !, is this right? I’ve had my friend use my name and bank details for the withdrawl because he didn’t have an account back then. For the other question, I’ve changed the primary Payee bank account details like 3-4 times already (all were on my name though) and nothing bad happened. I don’t think Google would have any reason to ban accounts because they are switching the payment details a number of times. However for simplicity and clarity, what I recommend is.. You withdraw it all the time to your bank and then you can send your friend’s share to his bank account via NEFT/IMPS. Is your payment sent by Adsense? You’ll see that under payments. Hello Narender i am in problem now a days, my adsense account payneename is “Muhammad Hasnain” and i added by big brother bank account namely “Muhammad Fazeel”. After reading your article i added my own bank account “Muhammad Hasnain” and its successfully verified on 28th january. Can you tell me when i get my payment this january or next month i mean febuary? Adsense usually sends the previous month’s payments on 21-23rd of the next month. But if you have a previous balance, a payment can be made before that. It is up to Adsense and I can’t commit anything. There are just CHANCES that you will get it early next month. If not, you’ll get it by the end of Feb. All this provided there are no additional holds on your account and you’ve reached the minimum threshold of $100. So, jab aap apna bank account add karoge Adsense me to waha sirf Sandeep daal dena. Wo kafi rahega. Aur agar Sandeep Kumar bhi daloge to bhi chal hi jayega because EFT transfer sirf account number k base par hote hain, usme name aur address nahi dekhta system. Jab tak bank wale kisi transaction ko manually verify na karne baith jaye, tab tak naam kuch bhi ho toh bhi paise receive ho jayenge. so, i dont require to change payee name in payee profile. Pls Help Me Bro .. So Can I Get My Payment With This Name..
how much times i change payee name ? I wanted to change my AdSense payee name so I created new Google account and submitted form with new payee name and with same domain name.. Now I have question.. I didn’t get confirmation adsense of my new account.. But I can access new AdSense account. Does it proper AdSense account ? Yes. If the new account has started showing advertisements, you can use it without problems. can google adsense proceed the payment if payee name is not match with the receiver name account holder? In most cases, yes it will go just fine. Its all mentioned in the post, buddy. mein apko batati hu, jinako sikhna hai ki adsense mein keshe kaam karna hai to plz meri skyap id ko add karo – soniya.google . Actually i am new use to adsense, i have problem with wire transfer to my bank, i have given exact details and bank account name, but did’t work. Can you help about this. What was the error that Adsense showed? Next, how did you acquire the SWIFT code? Was it provided to you by the branch? Can you mention the SWIFT here? I am sure that this is not possible for India account holders, adsense clearly given in help document,find the link below. Let us know any one has tried this. Since the into of EFT payments, Payee name can be altered. So you’re not stuck as you were earlier for payments via check/cheque. Bro, I owned a domain and adsense a/c. But I can’t change the address Bcoz of country India. Adsense also officially announced that we can’t the profile. Do you still need an address? 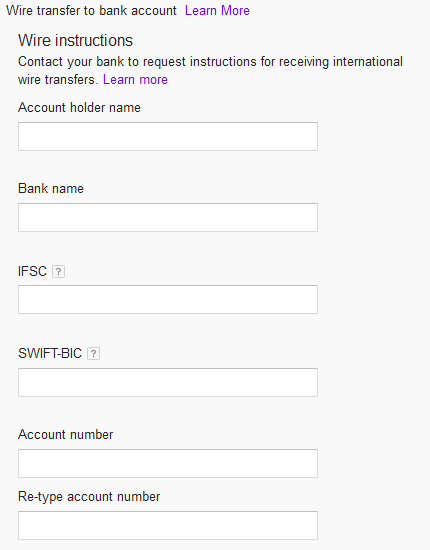 EFT payments totally depend on the swift code and account details, right? Thanks for this wonderful info. I didn’t knew it. I’m gonna change my payee name..
What about payment via Western Union? Can we also change the Payee name after payment is issued? Honestly, I have no idea about that. Please check with your local Google pages.